Growing marijuana is a natural act. Since the 1930's, Americans have been denied the right to grow this useful, beneficent friend. . . . Homegrown grass has had a bad name that clung for years. Only recently has domestic marijuana begun to excel & rank with the best of the exotic imports. Palates accustomed to Colombian and Hawaiian have discovered home-grown sinsemilla, & are finding that there is something more that happens when you grow your own, really good, homegrown grass--a great, satisfying feeling of the joyous power of great highs & limitless highs to come. Five or six big, healthy female plants will supply a heavy smoker for a year with pure, organically-grown, harmoniously attuned grass"--from the introduction. Complete instructions for growing fine, organic "sinsemilla" marijuana, the seedless variety prized by connoisseurs for its exquisite high. 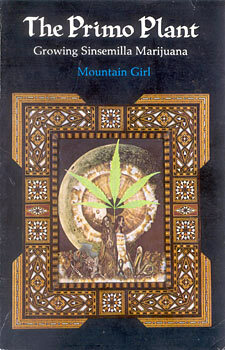 Mountain Girl's expertise in tending this "beneficent friend" makes this manual an essential aid for all growers, whether experienced or not.